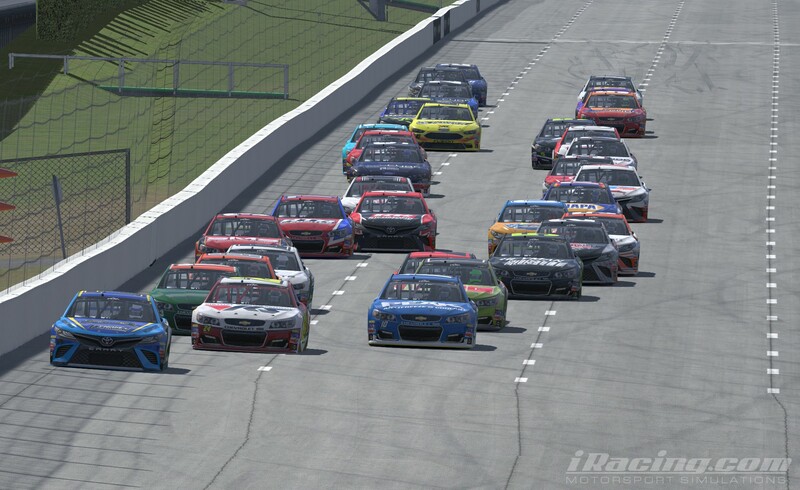 Keegan Leahy won his third NASCAR PEAK Antifreeze iRacing Series race of 2018 at Pocono Raceway, completely dominating the competition in one of the most impressive performances in series history. Leahy started fourth, was leading by lap three and spent 85 of 100 laps on the point. Darik Bourdeau (#04) slides as Logan Clampitt (#46) and Bobby Zalenski (#83) are collected. At the checkers, Leahy was a distant 10.5 seconds in front of Christian Challiner who came home second after starting from pole position. Ray Alfalla scored his second-straight third-place result followed by Jimmy Mullis, fresh off his win at New Hampshire. Chris Shearburn completed the top five finishers. Though Challiner showed the most speed in qualifying, it did not take long before Leahy asserted himself as the car to beat by taking the lead on Lap Three and looked to pull away. A caution on Lap Six slowed the field when Brian Schoenburg made contact with Darik Bourdeau, collecting Logan Clampitt and Bobby Zalenski in the aftermath. Christian Challiner (#78) led from the pole, but Keegan Leahy (#24) would soon make his way to the front. 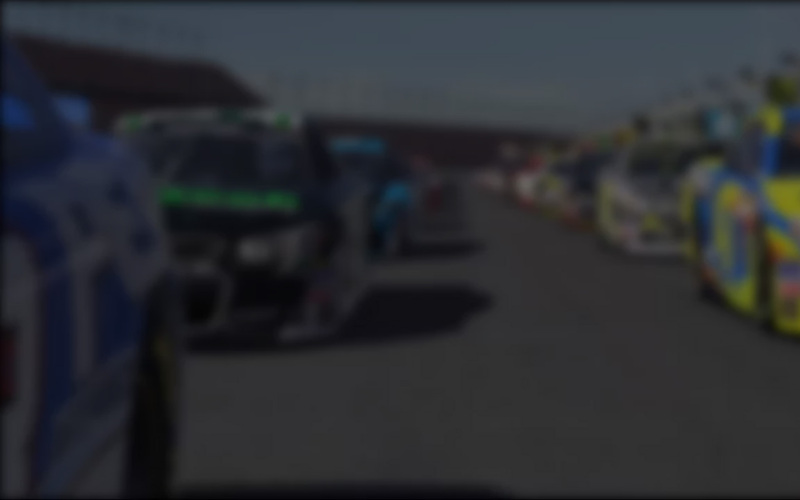 The yellow brought the field to pit road and Clampitt’s crew did their job, allowing him to hold the lead. 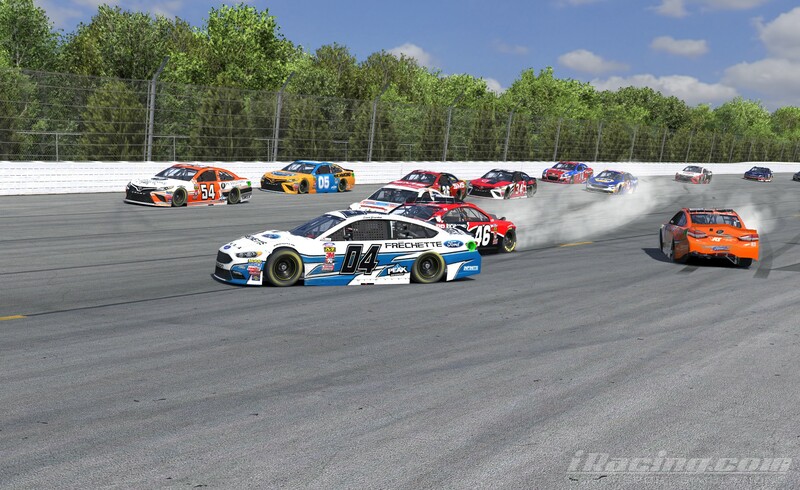 With clean air and fresh tires, Clampitt looked to set sail on the restart.  The early caution would end up being the only one of the race and with the final 90 laps going green, drivers with long-run speed made their way through the field. Challiner and Alfalla could keep pace for a while but both had little hope in competing with Leahy’s speed after their tires wore. 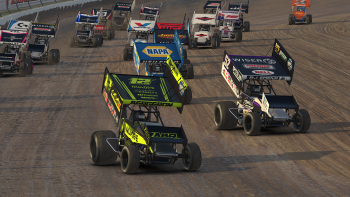 Ryan Luza may have been the biggest threat to the eventual winner, but he had a tough hill to climb after a penalty forced him to start from the pits. 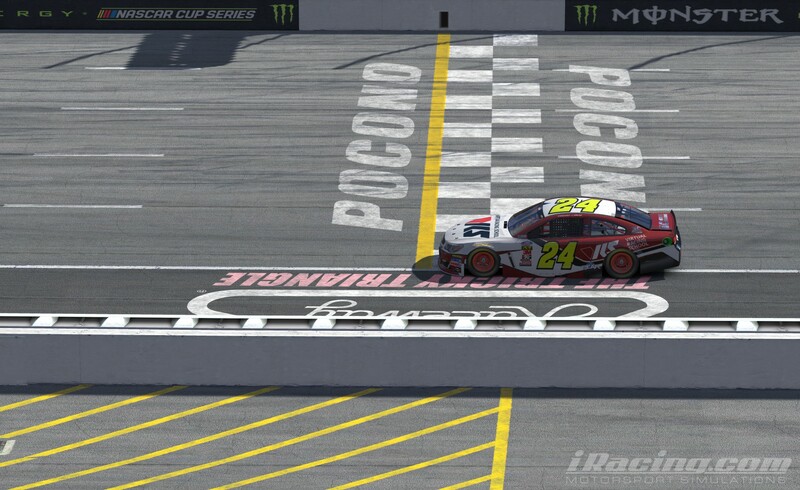 Keegan Leahy (#24) conquered the Tricky Triangle for his third win of 2018. 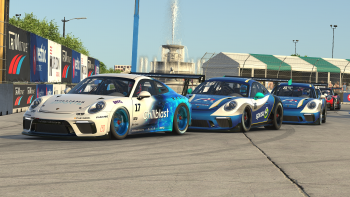 However, by the first round of green-flag stops between Laps 37-42, Luza had crept into the picture with Leahy still dominating. Even with a healthy lead, Leahy pitted a few laps before many of the other front-runners, extending his lead even further is it became clear nobody was going to touch Leahy without a mistake or a caution. His margin fell slightly as the second run went on due to the earlier pit stop, but it still rested at more than seven seconds when Leahy made his last stop for service on Lap 69. 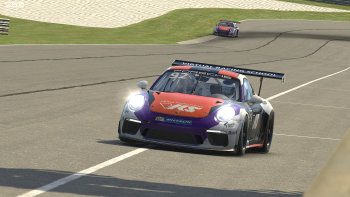 Challiner and Luza decided to pit later, on Lap 74, hoping fresher tires at the end of the race would help them advance. The strategy worked well for Challiner as he ran down Alfalla for the runner-up spot. Luza, though, had serious problems getting into his pit box and lost several seconds. He fell to tenth after it looked as if he’d challenge for second. Alfalla holds the championship lead, but Leahy is only 10 points behind in second. Zalenski slipped to third after his incident with Luza fourth and Nickolas Shelton in fifth. With only two races to go before the playoffs, the battle for the top eight is incredibly tight. Matt Bussa holds the final transfer spot but only has a six-point gap back to Challiner in ninth. 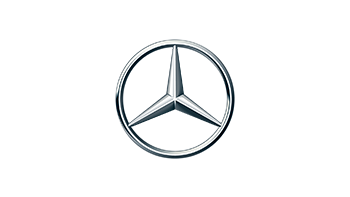 Nick Ottinger, Michael Conti, Shelton, and Luza are all in the top eight after Pocono within nine points of Bussa. 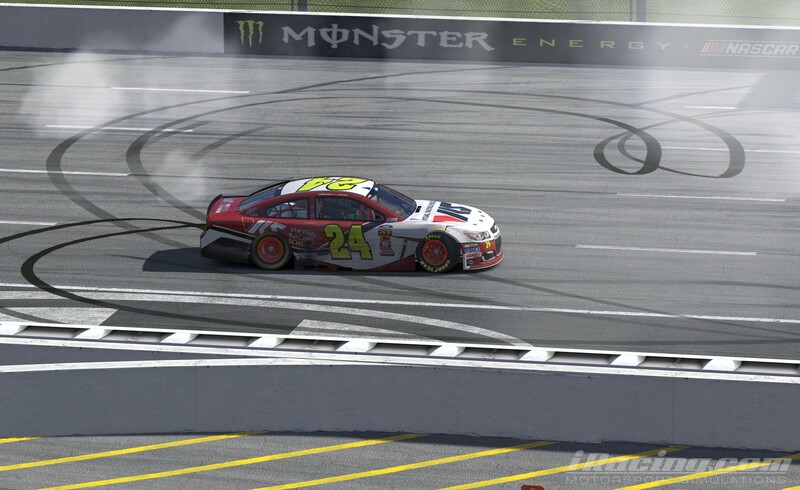 Keegan Leahy (#24) celebrates on the frontstretch after a dominant victory at Pocono. 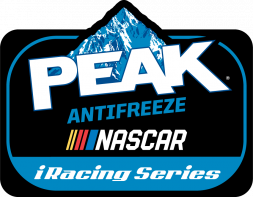 The NASCAR PEAK Antifreeze iRacing Series heads to the final 1.5-mile track of the regular season as the series visits Texas Motor Speedway with the playoff bubble drivers all looking to break out. Which one can make a statement and get that much closer to qualifying for the round of eight? 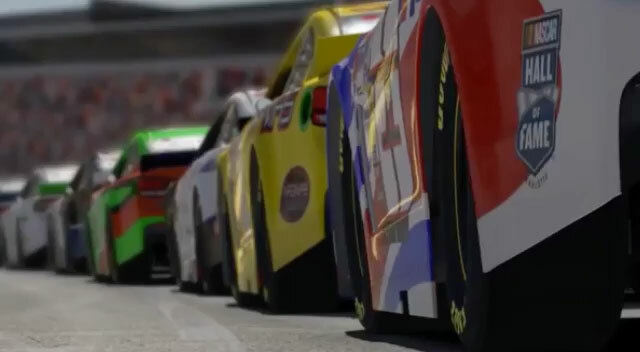 Find out in two weeks when the NASCAR PEAK Antifreeze iRacing Series takes on TMS!